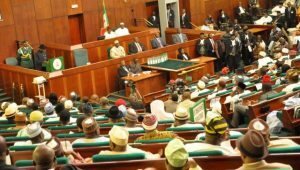 There has been series of disagreement among Nigerians about their style of governance. While some ask for re-evaluation of the present system of governance, others insist on dogmatic continuation with the Western version of imposed democracy. The main feature of democracy is freedom of choice for the people in a society. However, the Nigeria’s democracy which was imposed and sustained by military force remains a contradiction. Hence, we discuss the paradox of Nigeria’s imposed democracy. Before the arrival of the colonial masters, different ethnic communities in Africa had been living and managing their environments for their own good. The communities were organized by traditional leaders, social caretakers and family heads. Though many of their processes of management were crude, African societies were dedicated to learning newer ways of managing their environments. The Benin people had well-structured cities, with street lights made from wool and palm oil. The Awka people had blacksmiths and metal workers that produced metal gong ‘Ogene’, local guns, arrows and spears. As early as 800 BC, the Nok people on the Jos plateau had developed an organized society, known for their crafts. The Kanem Kingdom had a major state-like civilization. Around the 15th century, there were Hausa city-states like Kano, Katsina, Nupe, and Zaria. The city of Kano was known for their high artistic walls and leather works, and Borno empire had complex cities that were eager to progress in technological production they copied from other civilizations. 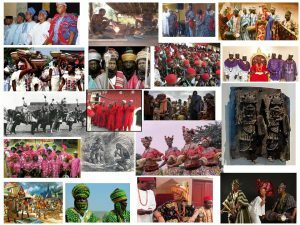 The Ife, Oyo, Opobo, Nri and other kingdoms had their functional social structures that managed the social and economic challenges of the people. All these kingdoms sought and found their ways of using the resources they had in their communities to solve their problems and improve their lives. These African societies had their own ways of establishing their citizens for productivity and livelihood. Once an individual reached the age of maturity or initiation into the community, he is given a parcel of land, or any other resource base to begin working and earning his living from where other people work to make a living. About 200 years ago, European industry owners came to Africa in search of raw materials for their industries. They found large deposits of raw materials in Africa, in addition to the cheap labour force they have been getting from slave trade. The Africans who tried to resist this exploitation like King Jaja of Opobo, Oba of Benin and others were bribed, imprisoned, killed or exiled. With the help of the gun, European industry owners and their home countries subdued the ethnic community leadership in Africa. They took over the governance of the different kingdoms in Africa and made general policies for governance. 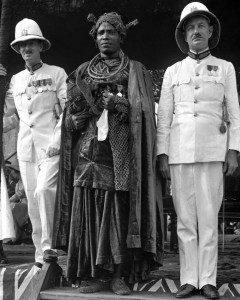 They converted the chiefs and kings into messengers, who translated and passed down the ‘oyibo’ policies to the people, and collected taxes from the people. After the non-violent resistance against brutal colonialism by Mahatma Ghandi in India, the condemnation for colonialism rose higher all over the world. Nigerian nationalists were also agitating for independence at that time. So the colonial masters were under pressure to hand over power to indigenes. However, they did not want the ethnic communities to get back the power to control their lives and resources, because it will be more difficult for the colonial masters to influence or control independent ethnic communities. So they installed a combined system of government, in which few appointed officials will take over the existing position of the colonial masters. If the colonial masters wanted a harmonious Nigeria, they could have asked the different kingdoms to deliberate and send delegates who will agree on the mode of relationship in the new partnership. Instead they installed a government of detached individuals that does not flow from, or represent the diverse institutions of the ethnic communities in the Nigerian partnership. This is why there are members of federal house of representative who do not know the number of ethnic communities under their constituency. They are practically not answerable to the communities they represent. Whether they work or they don’t work, they are always paid to maintain the imposed democracy that allows for foreign interference and collective exploitation. Many of these representatives only visit their constituencies during election campaigns. Those who work to develop their communities do so out of love and personal charity. Those who do not work are not even known by the people; they are neither challenged nor recalled, as people wait for four years to vote another person into the same oppressive position. As it stands, our system of government is not a government of the people. It was not formed by the people nor with their consent. It is simply a floating system of government from an oyibo-imposed constitution that is not rooted in the original cultures of the people. This democracy of force in Nigeria has remained a mysterious paradox for political observers and analysts. hence, we continue to battle in the paradox of the Nigerian imposed democracy.